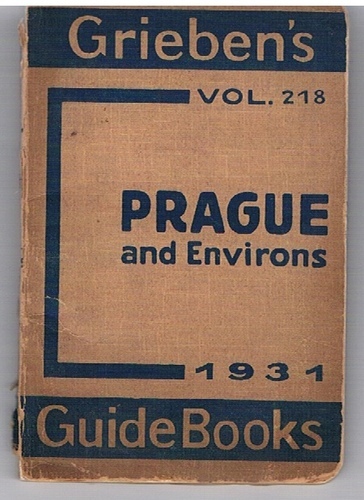 Home » Prague and Environs. With 3 Maps and 3 Ground Plans. Usual beige card covers printed in blue. 10x15cm. 95+iiipp., maps complete, 'searcher' present in back pocket. 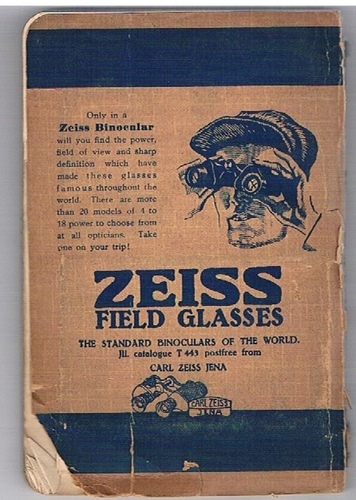 Zeiss advertisment to lower cover. A good, clean tight copy, but spine torn at lower edge, small nick to lower corner. 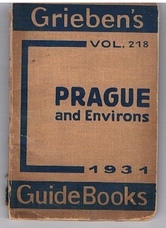 ; Grieben's Guide Books Vol. 218. Berlin and London: Grieben-Verlag , "Geographia"